Date posted: July 21, 2015 by: JasonDarkX2 Category: Gaming Reviews 3 comments. Deus Ex: The Fall should probably be the start to everyone's Deus Ex adventure story wise of course. Originally a mobile game released on Jan 15, 2014 then eventually ported to the PC on March 18, 2014 costing $10.99cnd which is only $3.00cnd more than mobile version on the app store. But that extra $3.00 guarantees three things about Deus ex: the Fall when you get it on the PC, it works, it doesn't crash, bigger screen and physical controls. But all in all is Deus Ex : the Fall still worth considering getting on its own is the real matter of the question. Having played the IOS mobile version, the game itself was really good on mobile everything about it was great, but it had 2 major problems, which was tiny screen and horrible touch controls. Deus Ex The Fall on PC solves those two major. But if you’re expecting a Human Revolution experience, prepare to take a step back. Cause The Fall takes the term “Prequel” quite literally.Also worth to mention is the up scaled graphics on PC don’t do it much justice either on a PC running Nvidia surround. right off the bat it looks like a PS2 era game. 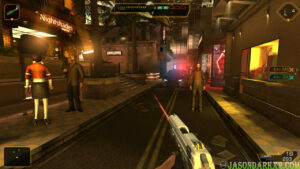 On the verge of shortage of Neuropozyne the anti-rejection drug for augmentation a global conspiracy unfolds, you play as Ben Saxon an ex-military solider fugitive on the run from the tyrants while in Panama City investigates a conspiracy behind the new anti-rejection drug call Riezene. The story itself is a tad bit short, leaving you wonder why can’t it be any longer ending on the infamous “To Be continued…” With 6 hours of main quests and 12 hours tops if you do the side quests in a single play through. The open city Panama isn’t exactly a lively one but there still things to explore and hack. But hey, what makes Deus Ex: The fall repayable is the new game plus mode that allows you to carry over everything, augmentations and guns, and upgrades. After my two plays through the story in both modes, and achieving 100% achievements completion it’s apparent that the replay value of Deus ex the fall reliant on you collecting cash and buying weapons and upgrades which was all available for purchase in the in-game store. But since I had unlocked all the useful augmentations by the end of a new game plus play through, new guns became useless making it counter productive it’s still there for the completionist. 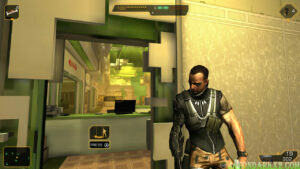 Overall Deus EX: the Fall in its own rights is a good game that just got poorly ported PC and sadly fails to meet the expectations of those who play Human Revolution first. 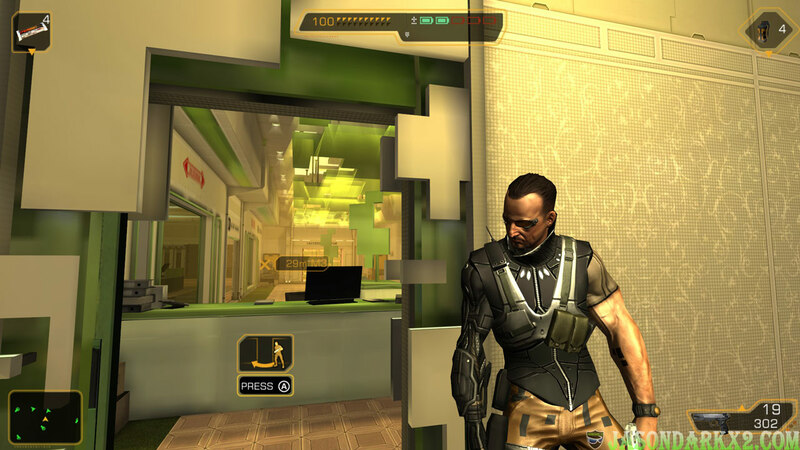 But the mobile version surely fairs a lot better as the portable Deus Ex game with almost everything from a full Deus Ex game in it but just compacted. If you are considering getting the fall,I'd highly recommend you get as part of the Deus Ex collection bundle for PC, otherwise it doesn't hurt to skip. The story is actually surprisingly good. New game plus that carry over character progress. Lots of guns at deposal. You can buy everything in the in-game store. Graphics looks like it’s from the PS2 era when you’re playing on PC. There are some weirdly shaped heads and faces. Social battle are not dynamic, meaning there’s only one same correct conversation path to win. Unlike Deus Human revolution which was randomized creating more dynamic. Doesn’t make use of all the augmentation packed in the game. The aiming with a controller on PC feels stiff.